Best burger in Seattle!!! There are a lot of contenders but I personally think this one is the best! It was even featured on an episode of “Diners, Drive-Ins and Dives”. 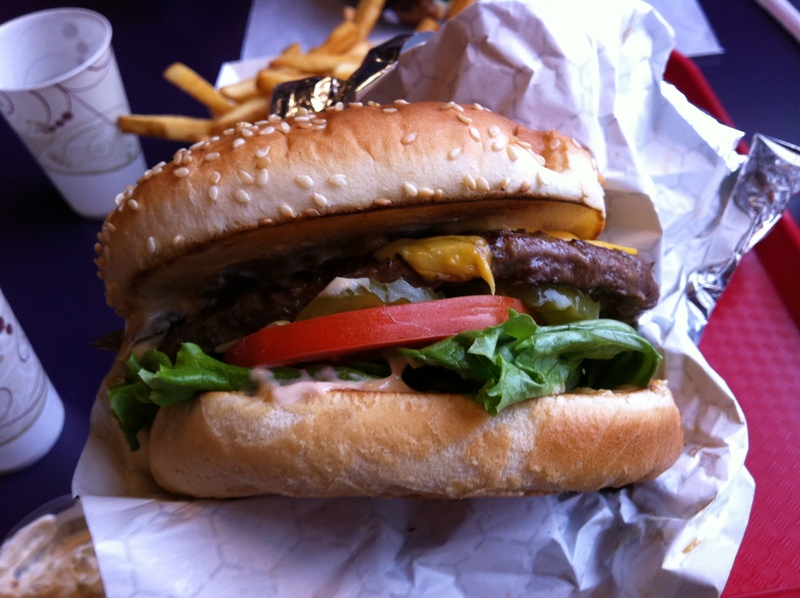 My go to burger is the Red Mill Deluxe w/ Cheese…it’s perfect! Juicy 1/4 lb patty, American cheese, Mill Sauce, tomato, pickle and onion (I ask for mine grilled). I always get fries…my own because my husband has learned that if we “share” I will still manage to eat them all. I’m a french fry fiend. I also top off this low calorie meal with a sparkling lemonade. It’s kind of like a treat to me. I normally only drink water (unless it’s dinner and there’s wine around) but this sparkling lemonade is amazing! SO fizzy and refreshing…I love it! My husband and most people I know go for the Bacon Deluxe w/ Cheese. The bacon is incredible…peppery and crisped to perfection:) I also love the Red Mill Chicken Sandwich when I’m feeling like something not so greasy. Enjoy! Next time you guys go, call me! I always want to go there but never by myself. I also want to try the Chile Verde Burger. It’s supposed to be a burger you must enjoy before you die!